Restore and Save Your Natural Teeth Today! There are many reasons why crowns may be recommended in your mouth. They can provide relief from discomfort if your tooth has a crack through it. Additionally, they encase and reinforce teeth that have been heavily restored (large cavity in the past). On teeth that have undergone root canal therapy, crowns are recommended to prevent fracture. Crowns can restore strength and beauty to teeth with large cavities around old fillings. A dental crown can be made with several different materials, including gold, porcelain, or ceramic, often in combination. Our first step involves the discovery and removal of all harmful material. Once the decay is gone, we may need to build the tooth back up prior to the crown. Then your crown (or bridge) is sculpted to create an ideal fit. During the interim period between when your impressions are taken and when our dental lab returns your fabricated crowns, you will be fitted with a temporary crown or bridge. A bridge is like two or more crowns splinted together with a hanging tooth in the middle. It is one of the possible solutions that replace missing teeth. Bridges can redistribute the chewing forces that are unbalanced when teeth are missing. Other benefits of bridges include covering the gums that are exposed between teeth, keeping teeth upright (as teeth have a tendency to shift after a neighboring tooth is removed), and preventing bone loss as trauma to stand-alone teeth can lead to recession and bone loss. 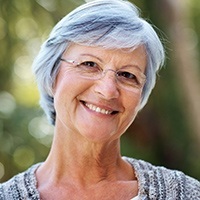 The other common treatments to replace missing teeth are dental implants. Since bridges involve more than one tooth, they usually require more than the customary two appointments for a crown. If cared for properly, meaning regular checkups and cleanings with periodic x-rays, bridges can last a couple of decades or more. Crowns can last even longer — and our use of the finest methods and materials means that you can rest assured in the product you are receiving. All of our off-site work is done by the finest dental labs in Whatcom County - ensuring you quality and precise fit - something we are very proud of. As mentioned, dental crowns in Bellingham can be made from a wide variety of materials, therefore expanding their ability to satisfy certain needs. 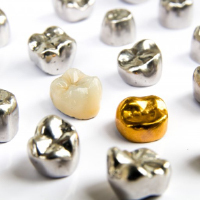 One of the most common dental crowns used in dentistry include silver varieties. These crowns are made from alloys that have large amounts of gold, platinum or base-metal alloys, including cobalt-chromium or nickel-chromium, depending on the manufacturer. They can withstand biting and chewing forces very well and rarely break, even after many years of use. However, their silver appearance is often off-putting for patients. Alternatively, crowns can also be made of more natural-looking materials such as ceramic. All-ceramic, or all-porcelain as they’re often called, offer a far more natural color that not only looks like teeth, but reflects light very similarly. This makes them the best option if you intend on restoring teeth visible in your smile. However, depending on the tooth, porcelain veneers may fit better for your case. Finally, a combination of both metal alloys and porcelain can work to restore your teeth to the fullest, while still providing an aesthetic solution. Porcelain-fused-to-metal crowns allow for color matching with your existing teeth, create a stronger foundation for damaged tooth structure, and can be used with bridges for added strength and support. The cost of crowns is difficult to determine for several different reasons. First off, every patient’s needs are different, so the crown they want vs. the crown they need will create a significant difference in price. For example, metal crowns tend to be cheaper because they are less expensive to make, but porcelain crowns offer a more natural appearance, and therefore cost far more. However, the average cost of a dental crown can range anywhere from $800 to $1700 or more per crown. 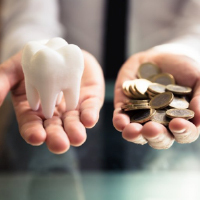 These costs can be mitigated by dental insurance if they’re needed to protect and restore your natural teeth, rather than cosmetically improve your smile. With that being said, the benefits of restoring teeth with crowns far outweigh the consequences of leaving damaged teeth unprotected. Just like how a filling protects a tooth from bacterial infection, crowns help maintain the structure and function of teeth, preventing the need for an extraction. Even if crowns seem expensive now, the cost of replacing the root of teeth through dental implants is far more expensive and invasive than capping it with a simple crown. If you’re tooth is damaged and you haven’t had it handled yet, the dentists at Moreno & Young Dental strongly encourage you to schedule a consultation. A dentist in Bellingham can save your teeth and make daily functions easy once again!